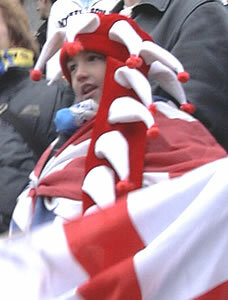 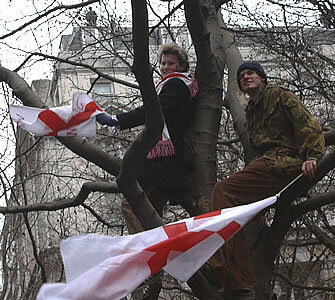 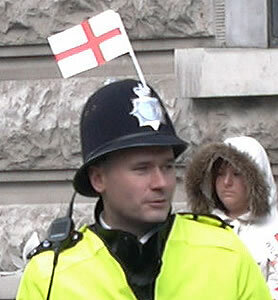 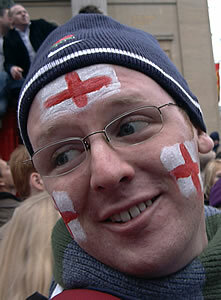 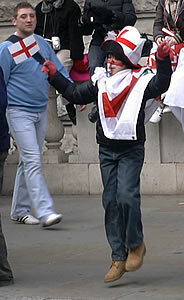 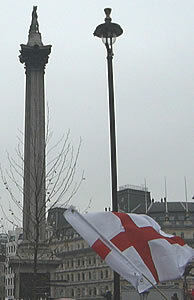 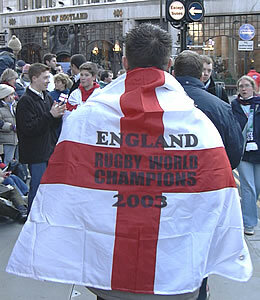 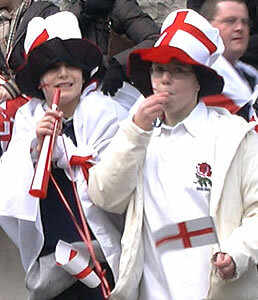 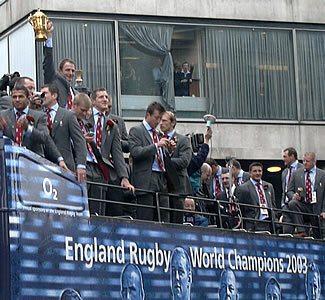 England won the Rugby World Cup in 2003. 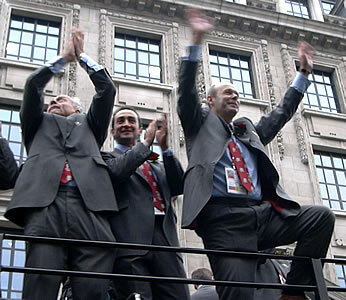 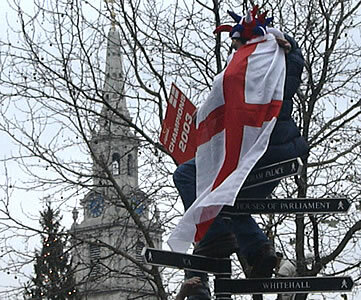 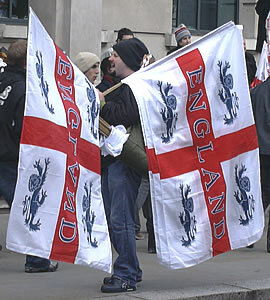 The photos below were taken on the day of the victory parade in London to celebrate the team's success. 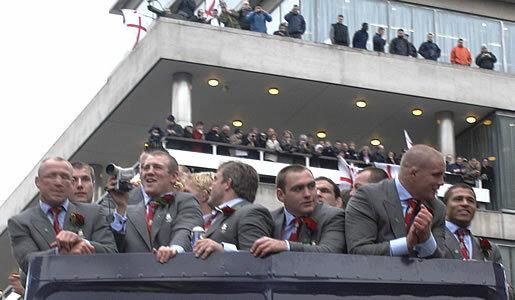 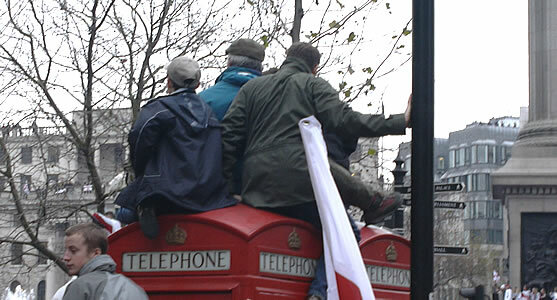 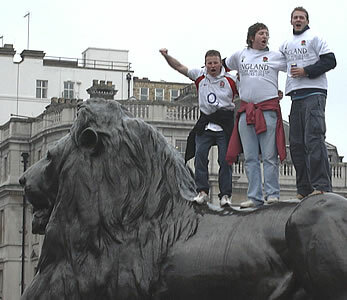 The rugby team travelled on open-topped buses from Marble Arch to Trafalgar Square. 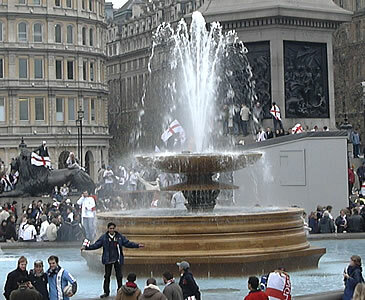 About 750,000 people went to see the event.